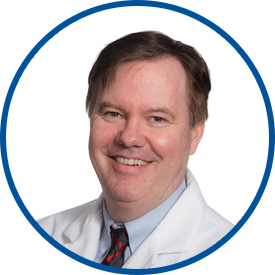 Dr. Lewis is board certified in internal medicine and was awarded his medical degree by the State University of New York Upstate Medical University. He completed a three-year internship and residency at the University of Rochester Strong Memorial Hospital in Rochester, NY. He received a bachelor of science degree with distinction in mechanical engineering from Cornell University. He has a teaching appointment as clinical preceptor at Yale University School of Medicine in New Haven, CT.
Dr. Lewis’ other appointments include senior attending physician at Norwalk Hospital in Norwalk, CT, medical consultant at Silver Hill Hospital in New Canaan, CT and medical board of Notre Dame Health and Rehabilitation Center in Norwalk. Previously, he was an internist with Norwalk Medical Group from 1993 to 2017. Dr. Lewis is a member of the American College of Physicians, the Connecticut State Medical Society, and the Fairfield County Medical Association. I have had the provider as my caregiver for many years. I am very happy to have him as my doctor. Very happy with Dr. Lewis. love Dr Lewis!! Best Dr ever!! My provider treated me well, answered all of my questions and I understood them. So appreciated Dr. Lewis calling and giving me the results of the urine test and follow-up treatment. Good experience with appts. so far. Dr. Lewis is a simply wonderful physician in every way. I wish more physicians were like him. I would and have often recommended Dr. Lewis to MANY friends and family some of whom are his patients now. He is bright and energetic and interested in bettering my condition (ovarian cancer). What he is not familiar with he finds out about without letting ego get in the way of what is best for me. I think Dr Lewis is an excellent doctor. Excellent experience -- twas the first visit, and I was very impressed with Dr. Lewis' friendly, unrushed attitude, listening to my concerns. I am so happy to have made his acquaintance. My provider was very good explained everything to me he was very caring.